A few years ago, I went to the Natural History Museum's outpost at Tring, to study the stuffed dogs collection on display there. Fairly soon into my tour I realised how different, anatomically, these specimens were from their living counterparts today, even accepting the taxidermists' licence and limitations on precise accuracy. But taxidermists are renowned for producing lifelike resemblances, however small the flaws. Pet owners wanting to preserve their treasured and now lost possession expect the stuffed effigy to look like the lost pet. 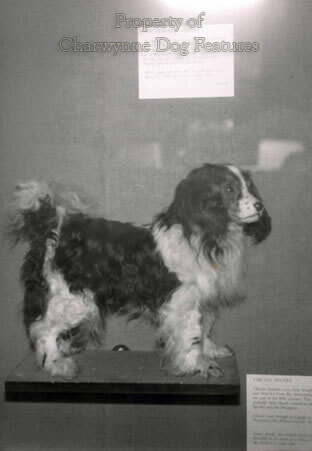 Any number of dog owners whose dead dog is now immortalised at Tring demanded a facsimile not an 'improved' or altered model, wishing their particular dog to be seen for what it was not what the taxidermist might falsely create. It is against that background that these exhibits should be seen. 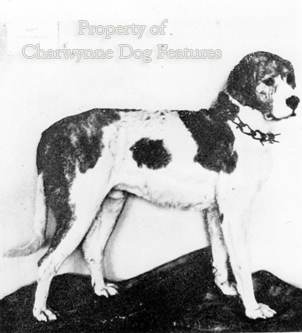 The main difference between these exhibits and their breeds as paraded today lies in the head and no taxidermist can alter the dog's skull - that is the one feature literally 'fixed in the bone'. 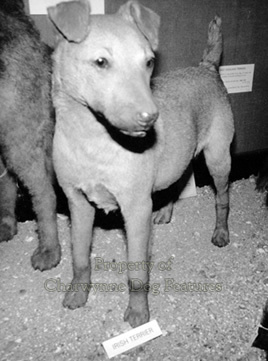 Any breed fancier making the lame plea that 'they've always looked like this' when challenged about past type and present form, simply cannot ignore the shape of the skull 'then and now'. Touring the galleries at Tring, studying the breeds portrayed there, and relating them to the show ring exhibits of today brought disturbing reflections. There were lap-dogs more like hamsters but corresponding to the 'handbag' dogs of today. 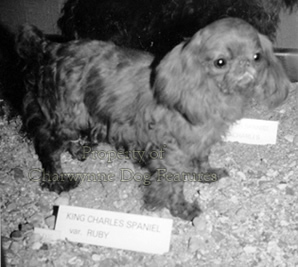 The King Charles Spaniels were already displaying the domed heads and flat faces spoiling this breed today. 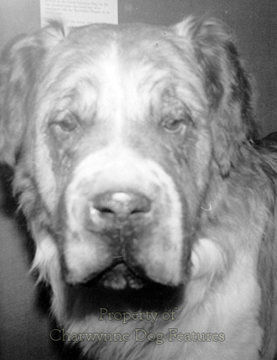 The St Bernard showed the deformed head bestowed by Victorian breeders - quite unlike the head on Barry, most famous rescue dog, similarly displayed in Switzerland. 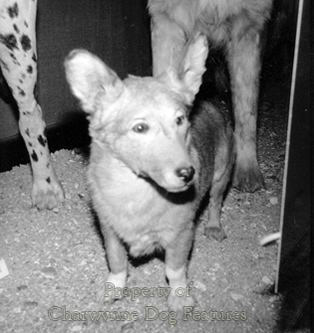 The Corgi featured longer legs and looked much more workmanlike. The Bobtail was able to see! 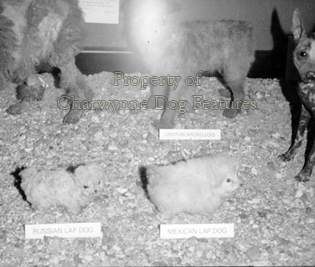 The Irish Terrier looked stiffer-coated. 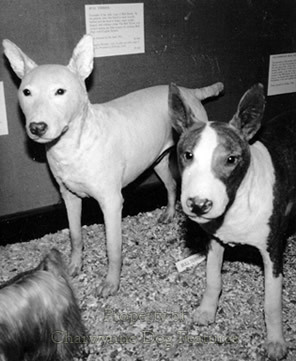 The Bull Terriers had canine heads not those of breed of sheep. 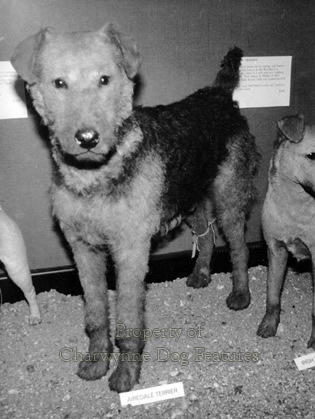 The Airedale had the wiry coat now lost in this breed. 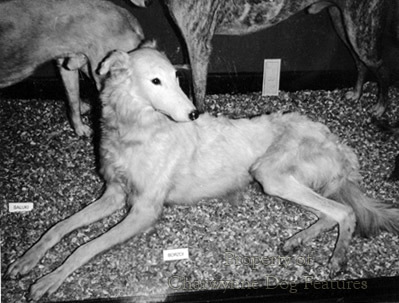 The Borzoi lacked the heavier furnishing of today's hounds. The Pointer looked heavier-boned, the English Setter lighter-boned. The Newfoundland was more like a water-retriever than a mountain dog, as preferred now. 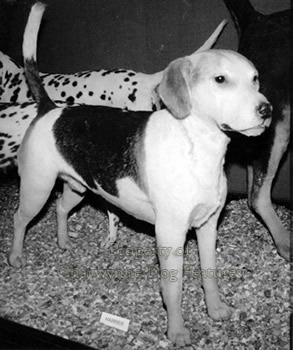 The Foxhound and the Dalmatian looked like today's dogs. 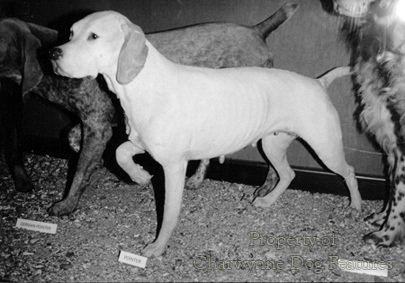 Four particular breed depictions showed quite dramatically the woeful changes inflicted on contemporary Bulldogs, Basset Hounds, Fox Terriers and Mastiffs. 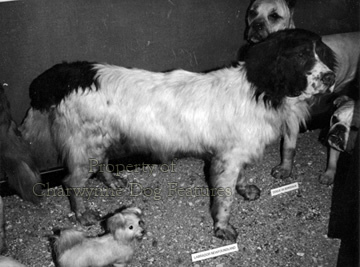 These breeds as on display at Tring, were less exaggerated, more healthily-constructed and more appealing than their equivalents now. 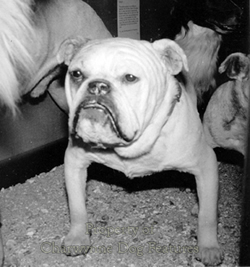 But already the Bulldogs featured the flat face, the bowed legs, the too wide a spread and the disproportionately large head, now taken to even more extreme dimensions than then. 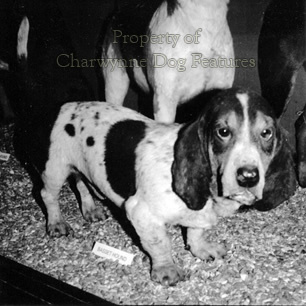 The Basset Hounds were leggier, smaller-eared and had more daylight under them than those of today. 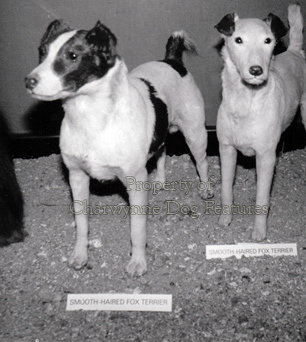 The Smooth Fox Terrier bore the longer, narrower, snipeyer jaw - now even more so. You could soon spot exaggerations in their 'infancy' and never stopped by the KC, allegedly looking after the best interests of such valued breeds. 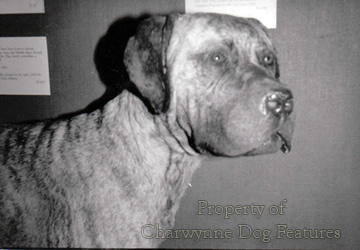 But the plain-head on the Mastiff on display there, lacking the excessive grossness, heavy wrinkle and massive bone of today's dogs, brought home the harm we have done to such treasured breeds. 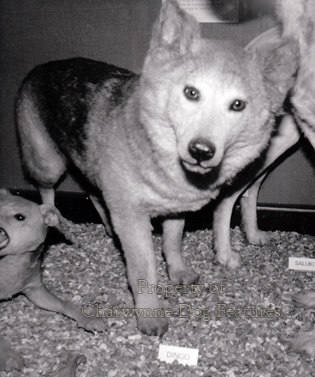 It was quite striking that the Dingo on display looked sound and healthier in body-shape than any other exhibit. The effigy of the famous racing Greyhound 'Mick the Miller' was particularly well done, capturing the majesty and the muscular power of this outstanding dog. That in itself makes a visit to Tring worthwhile. Also at Tring I saw a stuffed dog on display featuring a Trawler Spaniel, a small ship's dog illustrating the value of such a dog in its time, giving a good impression of the size and configuration of such an onboard asset - and an indication of how a smaller version of an accepted breed or type need not be toy-like, fragile - or have a flat face and bulging eyes! The preservation of animals in such a way can provide value to students of breeds. But the captions describing them and the words supporting the image have to be accurate. In my working life, I was, at different times, responsible for four different museums and an art gallery; there we strove endlessly to 'get it right'. Museum professionals have my respect and I have benefitted from their knowledge and wisdom. Laudably, the curators at this museum-outpost have published an illustrated book on their collection. But sadly, it is a book full of shocking errors, despite being compiled by museum professionals, who should command our respect. It describes the Jack Russell Terrier as a cross between the Fox Terrier and the Sealyham Terrier, despite the fact that the Jack Russell pre-dates the Sealyham. ". 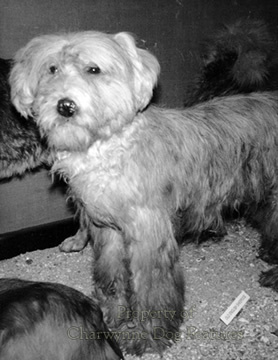 It does not take a great deal of research, particularly for a museum professional, to discover that the Rev John Russell and his terriers were well established before Capt Edwardes's breed had even been heard of. The Labrador Newfoundland is described as "a mastiff breed probably taken to Labrador by Basque fisherman". The Great Dane is described as "descended from the Mastiff and the Irish Wolfhound but it did not acquire the name Great Dane until 1772". 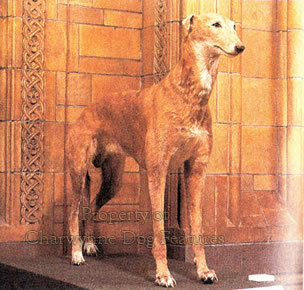 There is a painting of a Great Dane at a stately home in Britain, over twenty years before this date. 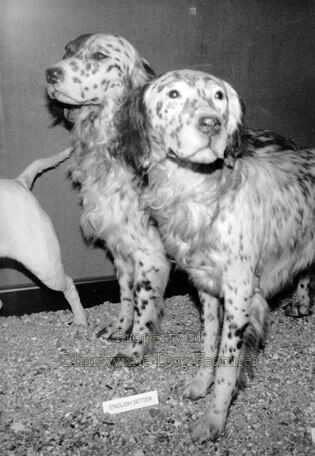 In this museum publication we can find other howlers like these: "Most breeds of hounds have long hanging ears which may even cover the eyes so that when the dog is tracking it is doing so entirely with its nose"..."The English Setter is descended from the Spanish Pointer and the long-coated spaniels"..."The hunting spaniels work...partly like a pointer" - so much for game-finders, game-indicators and game-retrievers! What a disappointment and how misleading for researchers thinking that museum professionals have academic clout! This flawed publication should not degrade the galleries at Tring, they are well worth a visit for any fancier, breeder, writer, researcher or indeed dog-lover. 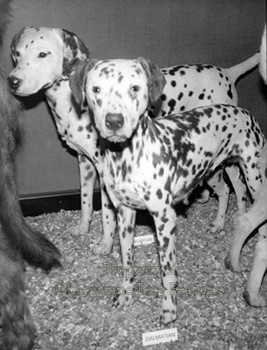 We all need to keep in touch with 'then and now' in the domestic dog - if only to be on the lookout for signs of breed-type being lost or exaggerations going unnoticed. Breed fanciers can get too complacent and lose their way in perpetuating their breed as function decided - not them! Dogs are getting stuffed in every generation!